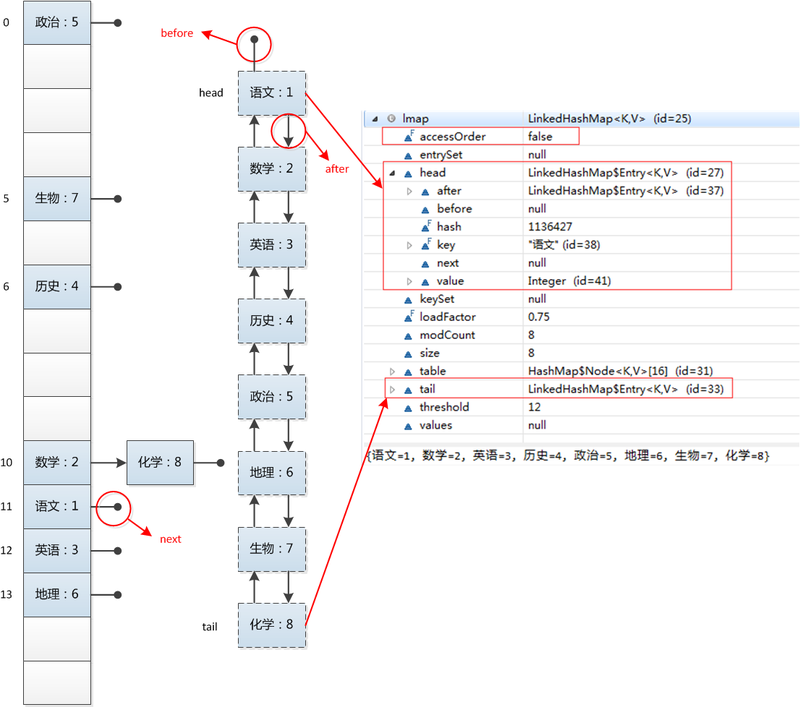 Hash table and linked list implementation of the Map interface, with predictable iteration order. This implementation differs from HashMap in that it maintains a doubly-linked listrunning through all of its entries. This linked list defines the iteration ordering, which is normally the order in which keys were inserted into the map (insertion-order). A structural modification is any operation that adds or deletes one or more mappings or, in the case of access-ordered linked hash maps, affects iteration order. In insertion-ordered linked hash maps, merely changing the value associated with a key that is already contained in the map is not a structural modification. In access-ordered linked hash maps, merely querying the map with get is a structural modification.